Macedonian pearl, as they say a city of Ohrid, which is a Cultural and Natural world heritage sites of UNESCO, is going to be a host city for the ETU Balkan Championships 2018. All athletes are going to feel warm continental Mediterranean climate on altitude of 695 meters above the sea level, compeat in a almost prefect conditions for Triathlon. 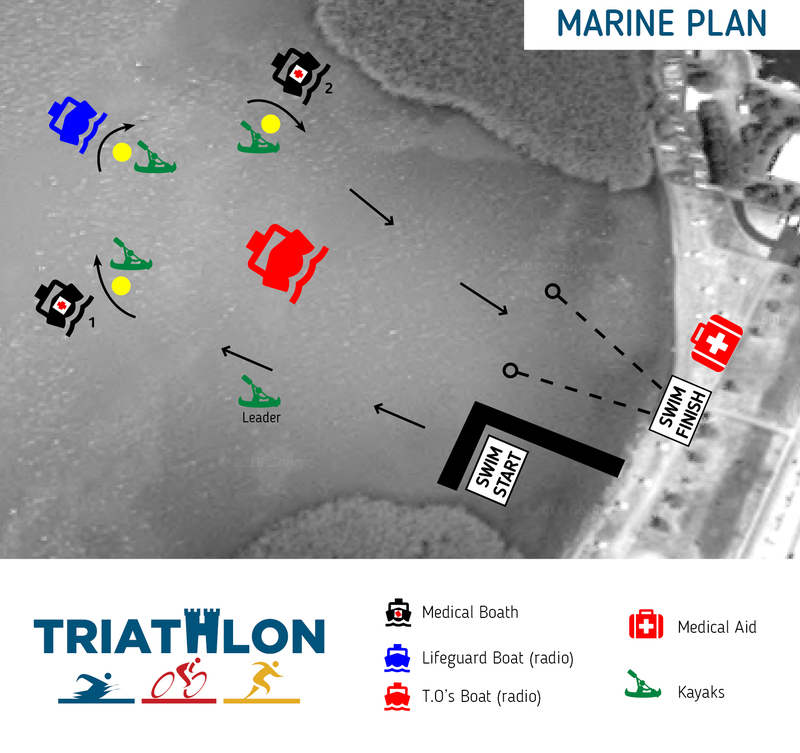 The event is going to be organized by Macedonian Triathlon federation and LOC Association sport for all in two day event 15th and 16th of September, and is covered by the Government Agency of sport and youth,Macedonian Olympic comity and Municipality of Ohrid. Other useful information you can found in the athletes guide. The content of the guide is absolutely need to know for participants and their support. Read it forwards and backwards. Then read it again. When you have done this, make sure that your support team does the same. 17:00 - Youth briefing and kids race. 19:15 - Age group briefing. 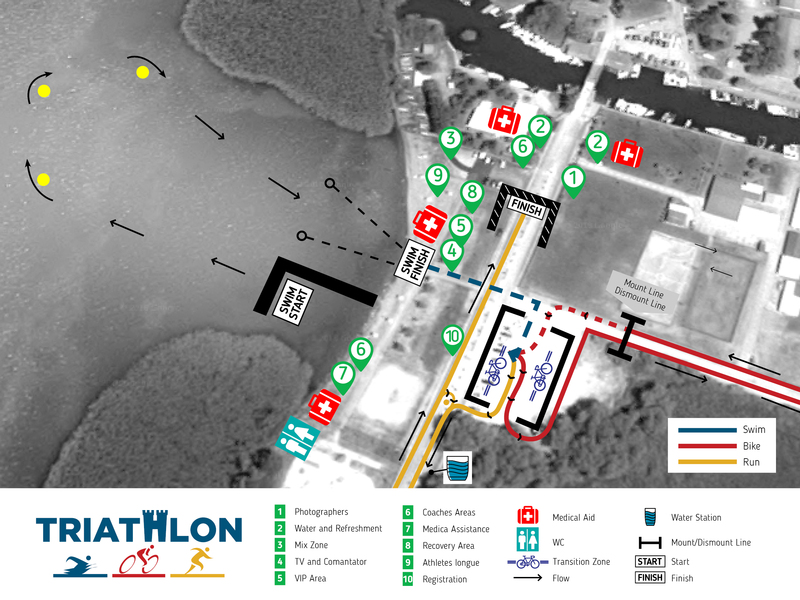 Entry fee per categories: Elite’s 50 EUR, Juniors 30 EUR, Youth 10 EUR, Age Group 30 EUR, Kids Race 10 EUR, Mix Relay 100 EUR. 12:00 - 16:00 Athlete’s Registration office open and package pick up. 13:00 - Bike course familiarization. 14:00 - Swim course familiarization. Notice! 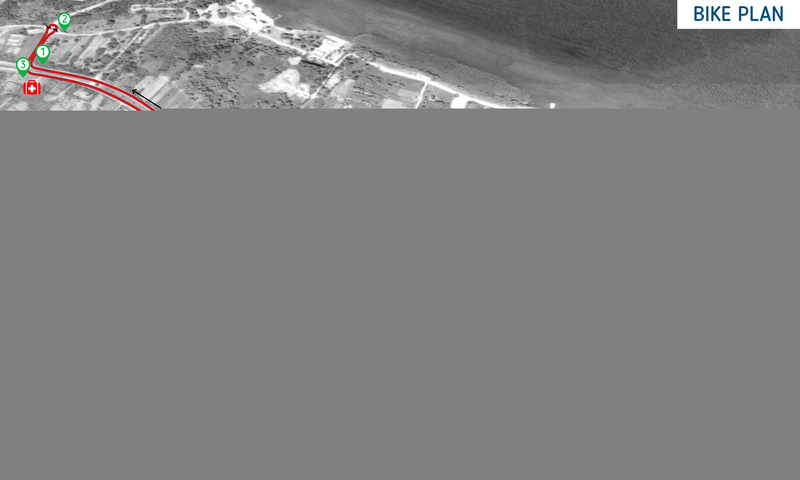 - The buoys are not in Saturday’s race position. 6:45-7:15 - Athletes Lounge Open and Check in Youth. 7:00-7:45 - Transition area is open for Youth. 7:30-7:45 - Swim warm up for Youth. 8:00 - Ohrid ETU Balkan Championship Start Youth race Men . 8:30-9:00 - Athletes Lounge Open and Check in Junior women & men. 9:00-9:45 - Transition area is open for Junior women and men. 9:30-9:45 - Swim warm up for women. 11:15- Transition open for Junior men. 11:30-11:45 - Swim warm up for Junior men. 11:50 - Pre start procedure Junior men. 13:45-Awards Ceremony for categorie Junior men . 13:30-14:00-Athletes Lounge Open and Check in Elite women & men. 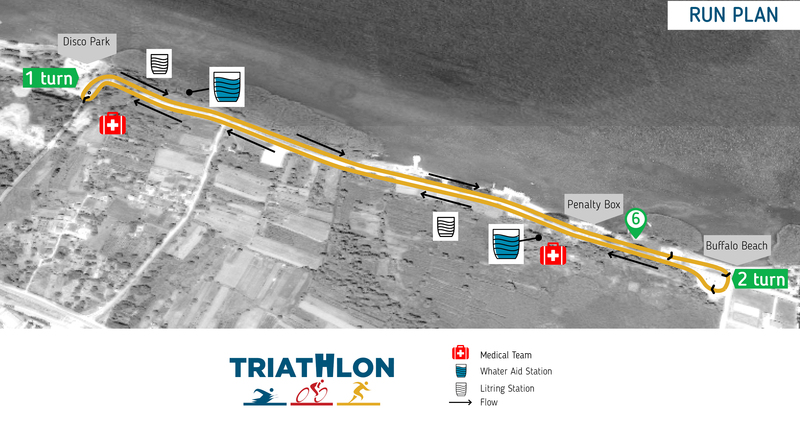 14:00-14:45 Transition area is open for Elite women and men. 16:15-Transition open for Elite men. 6:45-7:15 - Athletes Lounge Open and Check in Age group women & men. The LOC will provide transportation from Ohrid Airport “St.Paul the Apostle” for the athletes and their Team Officials.